I’m not exactly sure how this happened, but one of my daughter’s current favorite foods is oatmeal. 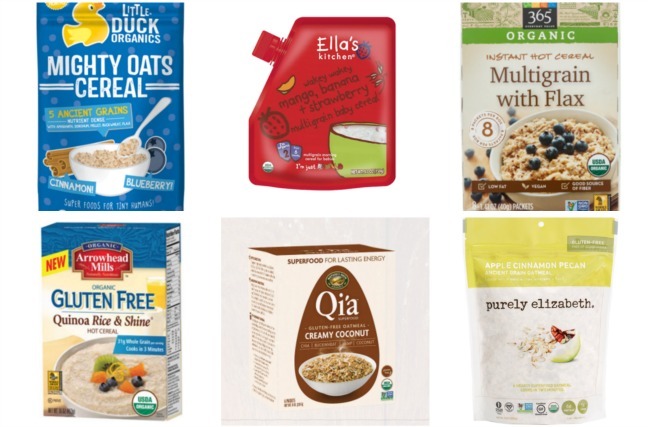 We usually stick with plain rolled oats—with raisins and a little nut butter stirred in—cooked on the stove top, but I recently went looking at other hot cereals on the market to see if I can expand our repertoire as we head into the colder months. I was shocked to discover that most packaged hot breakfast cereals have around ten grams of sugar per serving, which is twice as much sugar as is recommended for “healthy” dry cereal. Even the ones packed with flaxseed or hemp are often overly sweetened, which makes finding good options for kids a little more challenging. I narrowed down my list of the best hot cereals for kids by first eliminating anything with more than five grams of sugar per serving and instead looked for ones with minimal added sugars—it’s so easy to just add a drizzle of honey at the table! And I chose ones that are made with a range of whole grains and that cook up in just a few minutes. Here are some of our favorites. You probably recognize this brand from the baby food aisle of your local health food store, but their hot cereal was new to me. This is made without added sugars but has nice flavor from the blueberries and spice. It’s also a good choice for the diverse blend of grains including oats, amaranth, sorghum, millet, and buckwheat; when stirred together with yogurt and left overnight in the fridge, it makes for really yummy overnight oats. Made with rice, oats, corn, and fruit, this naturally sweet cereal has enough texture to taste like instant oats, but it’s even faster to serve up. And it’s a handy option to take for baby or toddler breakfasts on the go. These single serving packets contain rolled oats, wheat, rolled rye, rolled barley, and flaxseed. There’s a nice dose of both protein and fiber, and the flavor can easily be enhanced with a simple topping of fruit. Take a break from oats with this gluten-free blend made with brown rice grits and quinoa flakes. The texture is more like grits than oatmeal, and it tastes really great served savory with a little butter and cheese, or sweetened with a little fruit jam. 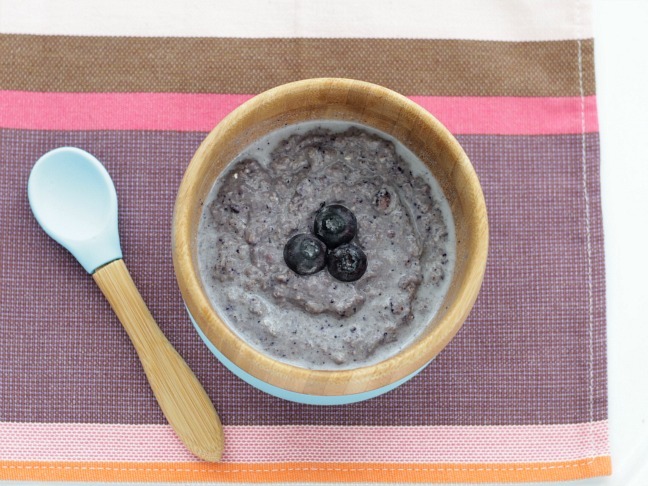 Packed with chia seeds, buckwheat, hemp seeds, and coconut, this oatmeal is a nicely balanced mix of protein, fiber, and complex carbohydrates. The coconut flavor is a really comforting change of pace too! All of the flavor of instant oatmeal but without the added sugars means this oatmeal is a top pick. The combination of oats, dried apples, pecans, quinoa flakes, and amaranth makes for a nicely balanced texture too. I love the flavor boost that the dried apples add.